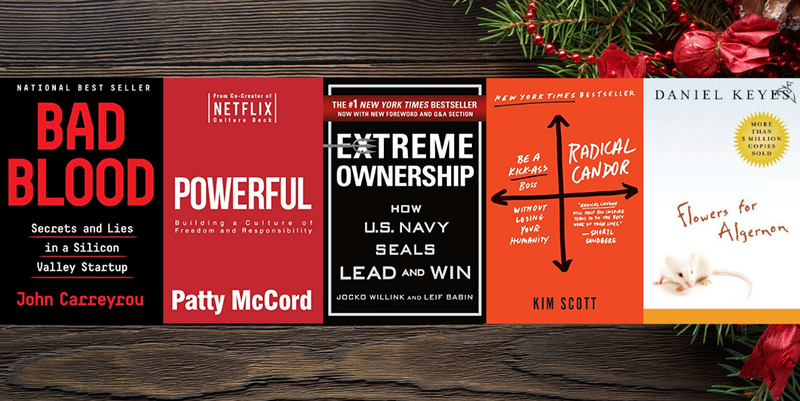 I read 25 books this year and want to share my favorite passages from five books that resonated with me the most. These books have helped me improve my own life and/or told an unforgettable story with interesting characters. Bad Blood tells the inside story of how Theranos became a billion dollar unicorn only to collapse shortly after. About halfway through, John shifts to a first-person perspective as he describes his investigation, and I just couldn’t put it down afterward. The biggest problem of all was the dysfunctional corporate culture in which it was being developed. Elizabeth and Sunny regarded anyone who raised a concern or an objection as a cynic and a naysayer. Employees who persisted in doing so were usually marginalized or fired, while sycophants were promoted. What’s scary is that this kind of behavior probably isn’t that rare in most companies. This is a classic novel about a mentally disabled man who becomes really smart after an experimental procedure. As his IQ increases, however, he realizes that the people he thought were friends were just making fun of him. Everything in this book from the characters to the grammar is exceptional and heartbreaking (yes, grammar can be heartbreaking). I can’t believe I didn’t read this book back in high school! Intelligence is one of the greatest human gifts. But all too often a search for knowledge drives out the search for love. This is something else I’ve discovered for myself very recently. I present it to you as a hypothesis: Intelligence without the ability to give and receive affection leads to mental and moral breakdown, to neurosis, and possibly even psychosis. And I say that the mind absorbed in and involved in itself as a self-centered end, to the exclusion of human relationships, can only lead to violence and pain. People can handle being told the truth, about both the business and their performance. Telling the truth about perceived problems, in a timely fashion and face to face, is the single most effective way to solve problems. Radical honesty also leads to the sharing of opposing views, which are so often withheld and which can lead to vital insights. The style of delivery is important; leaders should practice giving critical feedback so that it is specific and constructive and comes across as well intentioned. [Caring personally] is about finding time for real conversations; about getting to know each other at a human level; about learning what’s important to people; about sharing with one another what makes us want to get out of bed in the morning and go to work. [Challenge directly] is about delivering hard feedback, making hard calls, and holding a high bar for results…How do you criticize without discouraging the person? First, focus on your relationship. Ask for criticism before giving it, and offer more praise than criticism. Be humble, helpful, offer guidance in person and immediately, praise in public, criticize in private, and don’t personalize. Taking ownership when things go wrong requires extraordinary humility and courage…Extreme Ownership requires leaders to look at an organization’s problems through the objective lens of reality, without emotional attachments to agendas or plans. It mandates that a leader set ego aside, accept responsibility for failures, attack weaknesses, and consistently work to a build a better and more effective team. Such a leader, however, does not take credit for his or her team’s successes but bestows that honor upon his subordinate leaders and team members. When a leader sets such an example and expects this from junior leaders within the team, the mind-set develops into the team’s culture at every level.